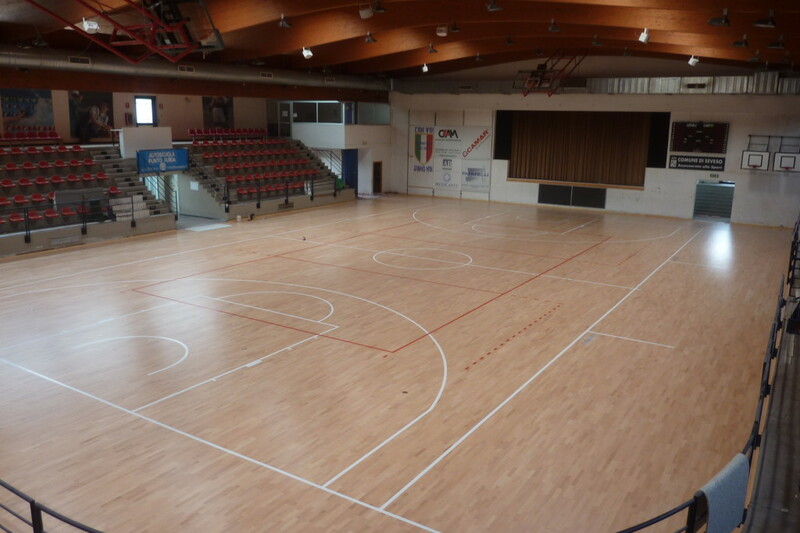 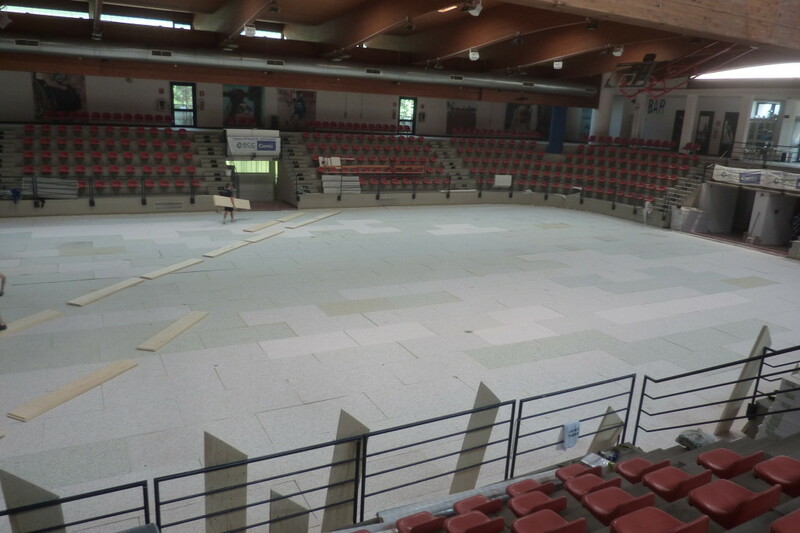 Among the hundreds of installations of sports floors Dalla Riva Sportfloors has made in all parts of Italy and Europe, there is one recent of which is particularly proud. 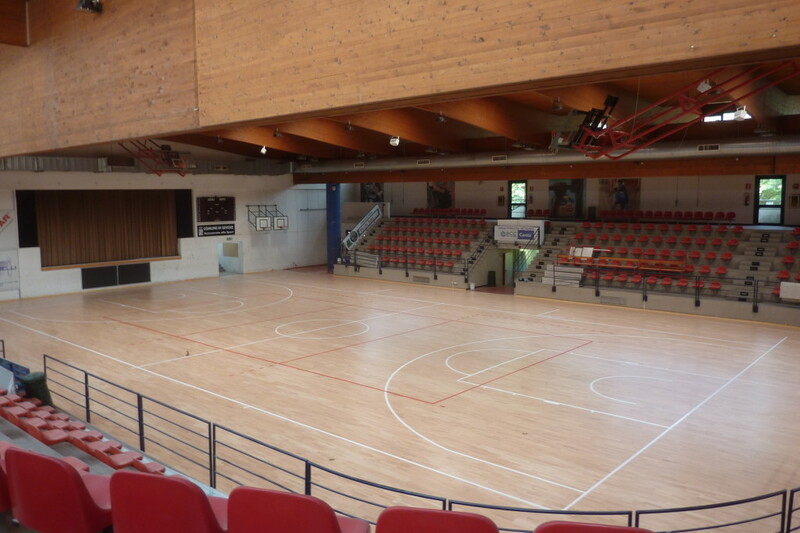 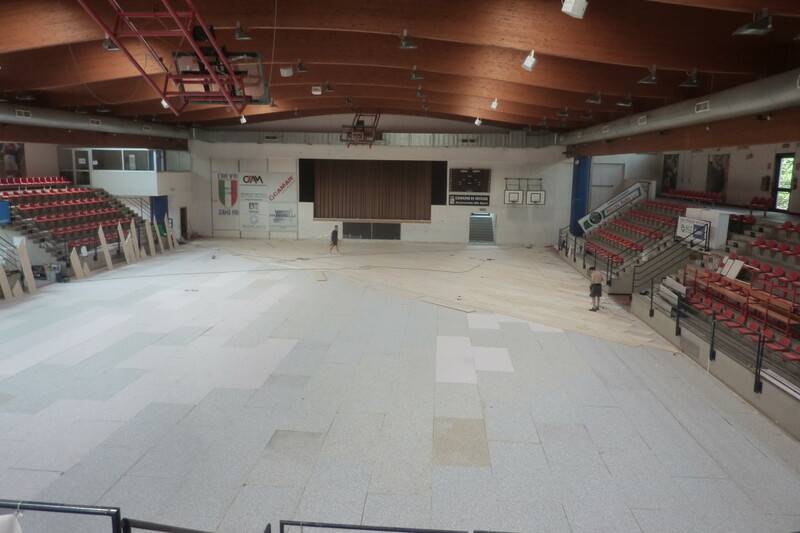 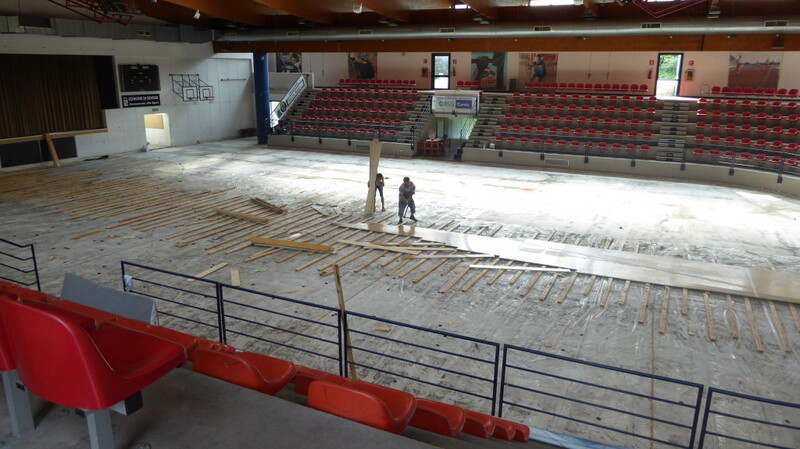 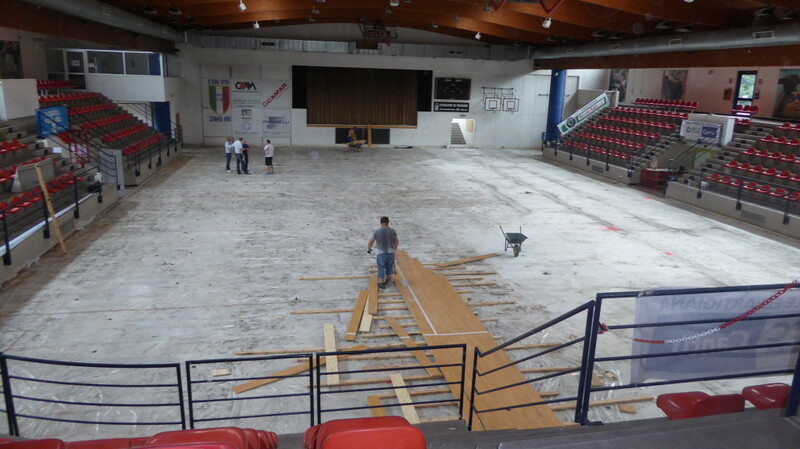 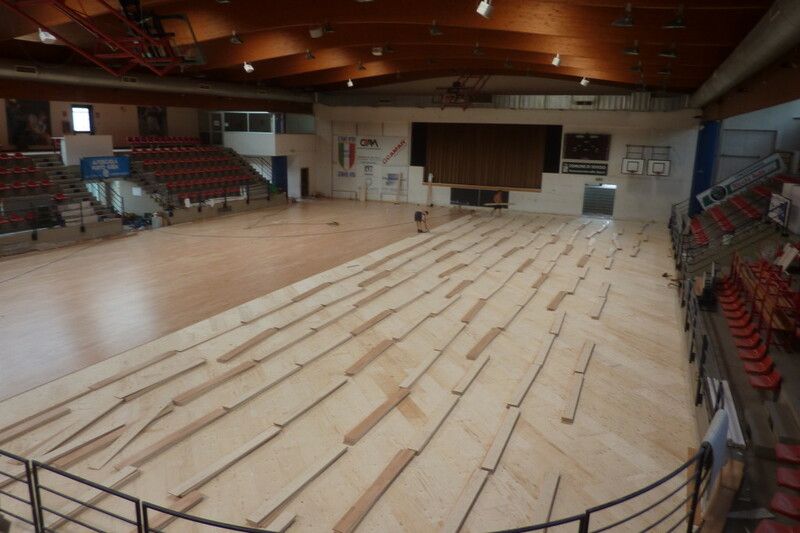 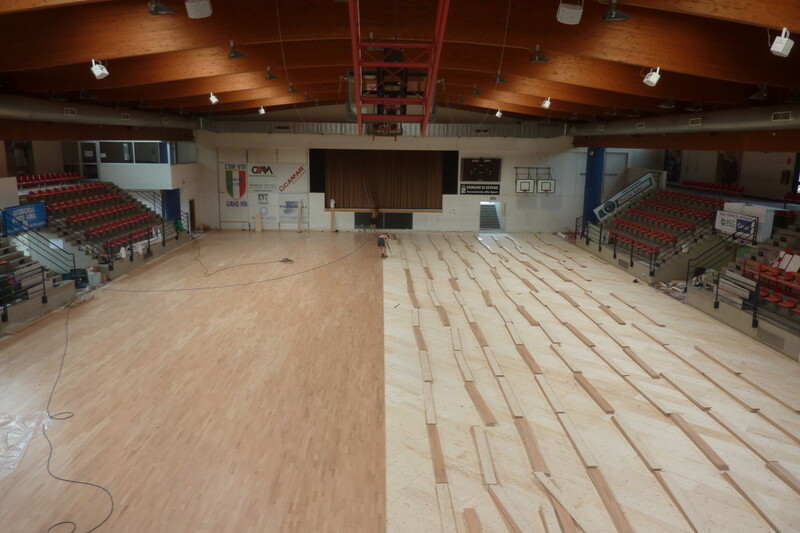 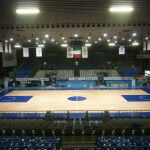 We are talking about the wood pitch prepared for the sports hall of Seveso, home of the historical society of wheelchair basketball “Briantea 84”. 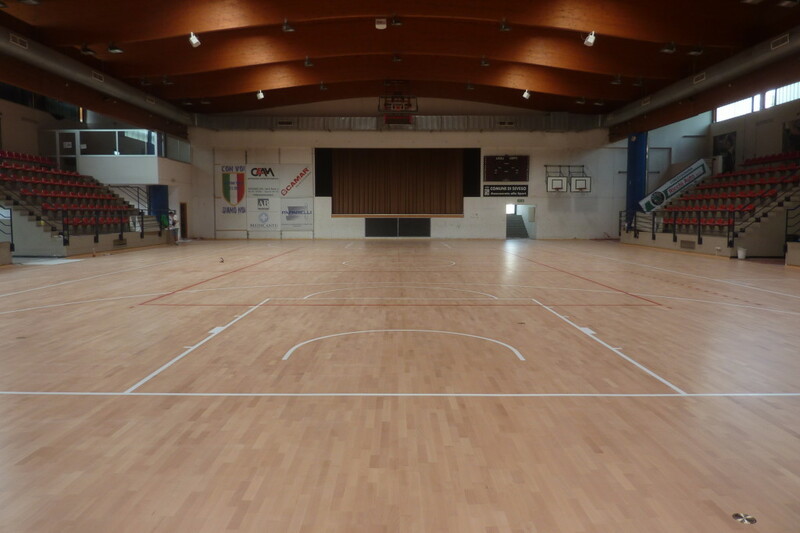 As for triumphs and trophies, this prestigious club is a bit ‘as the Juventus Footbal Club. 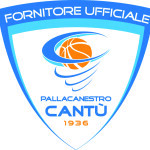 The team, founded in 1978, has in fact won numerous championships and continental cups. 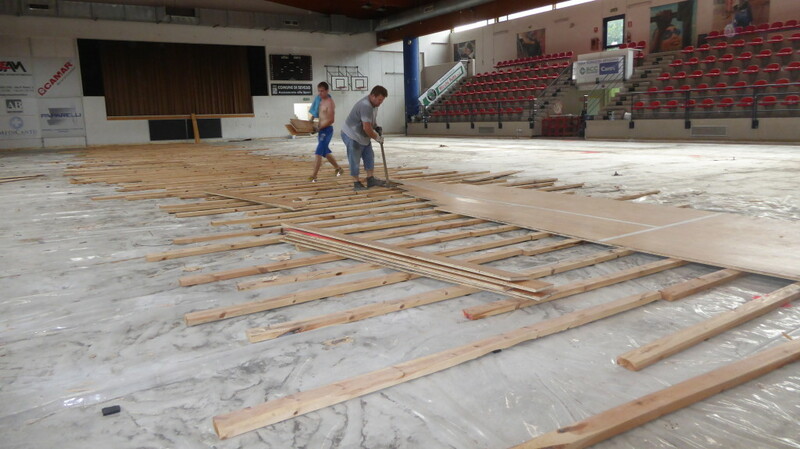 After so many games played on an old floor of about 900 m² with fir beams (completely removed), the company of Montebelluna (Treviso) stepped in to create a soft and durable sports floor in beech with the traditional “amortized system” called Playwood 14 .